If you are frequently longing onto multiple servers over SSH and have many terminal windows floating over your desktop, this article might be interesting for you. 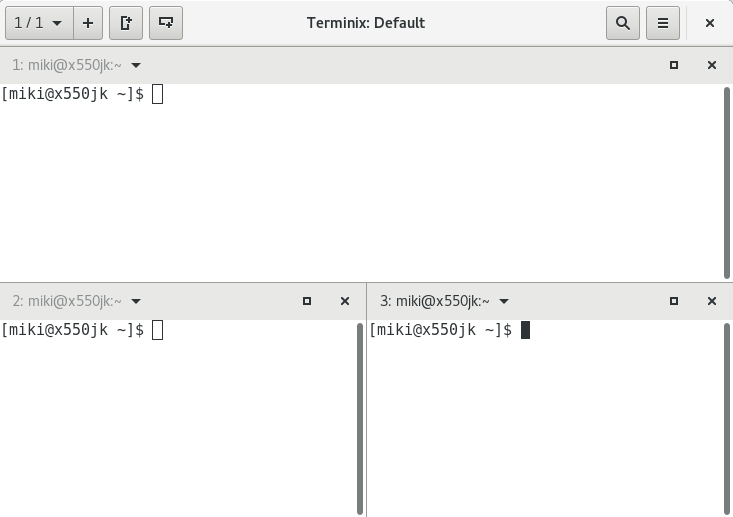 To do away with window clutter, we are going to install Terminix, a tiling terminal emulator which is based on GTK+ 3 and can help you have many terminals stacked into one window. It also supports dragging terminals out of the window to form another stack of terminal, as well as lots of other neat features. some of which we will tryout here. This is by no means complete list of features, this article will concentrate only on features I found most useful. 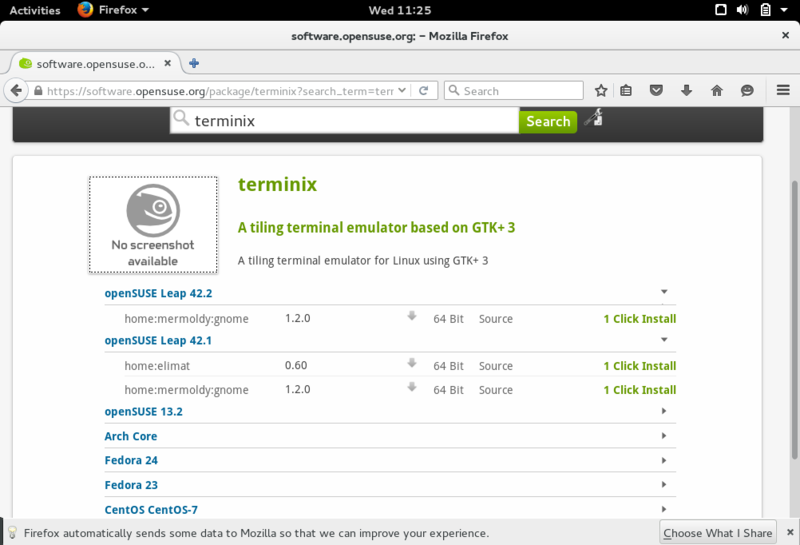 Terminix requires GTK 3.14 or newer, as well as GTK VTE 0.42 or newer. 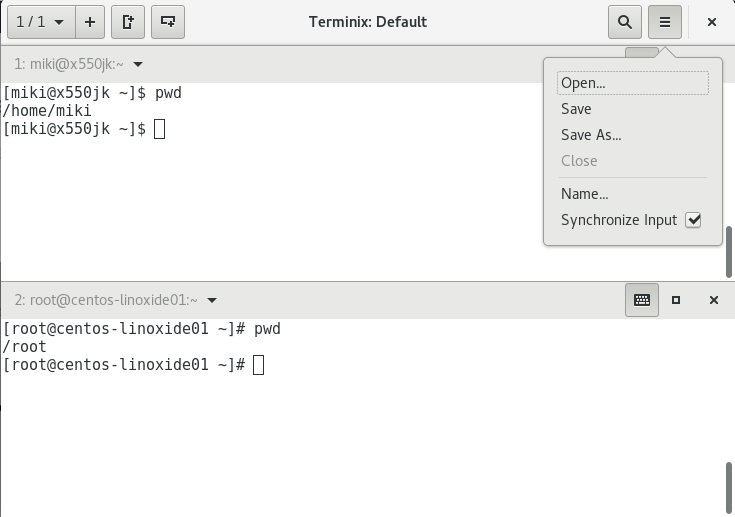 On OpenSUSE you go to the package search page, type terminix, select your version of the OS, add unstable packages and click on one click install button to install it. 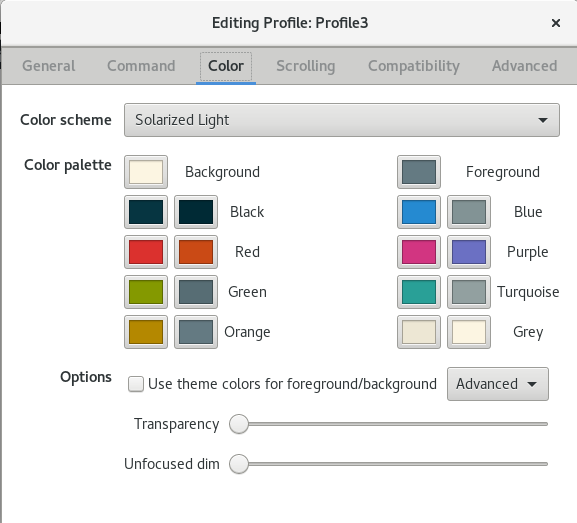 And then on first button we have a way to switch between on layouts much like GNOME 3 desktop switches desktops when you click the Activities button. And every time you press F10 key, the terminix will show up or dissapear. It will remain on top of all windows while you make it disappear by pressing the hotkey again. 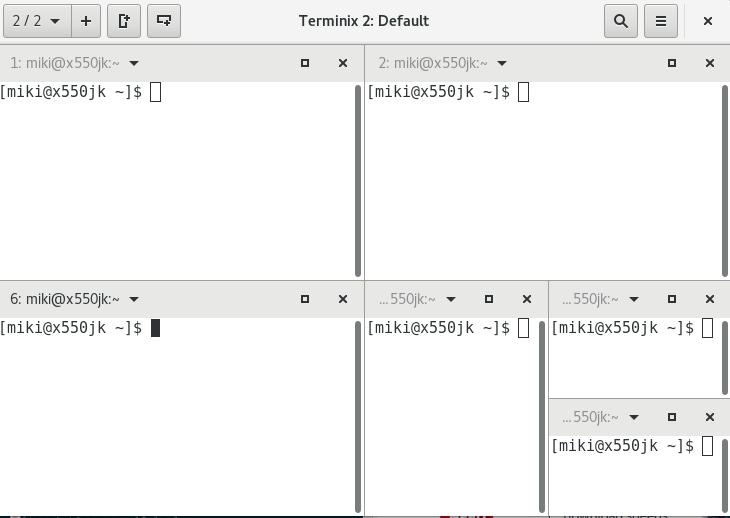 The tasks you run in terminal wont stop or abort when you make terminix quake window disappear. 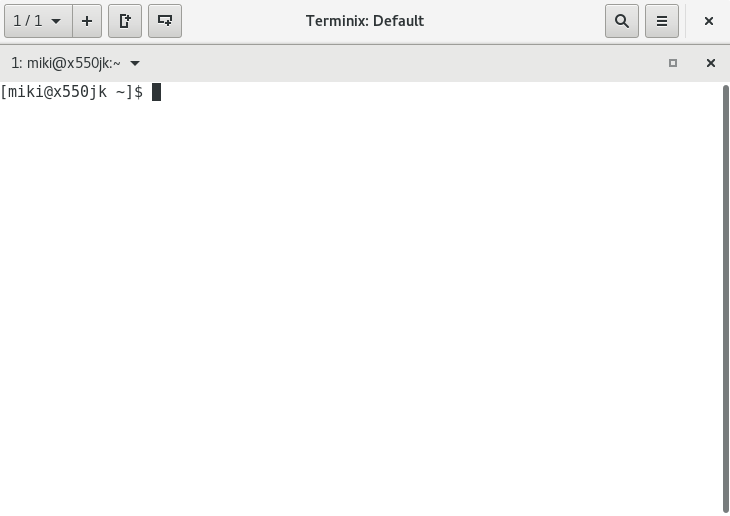 Then, when you tupe pwd (or any other command) it executes in both terminals. And in this example, one terminal is on my local machine and other is SSH session on remote server. Pretty cool, isn't it? But be sure to toggle off the little keyboard key when you are done, because it is dangerous if you forget this. It is possile to set different colors for different terminals. 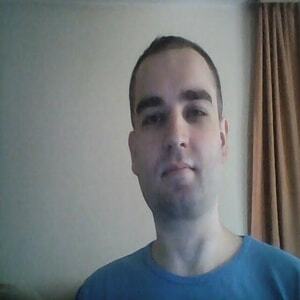 For this, profiles are used. 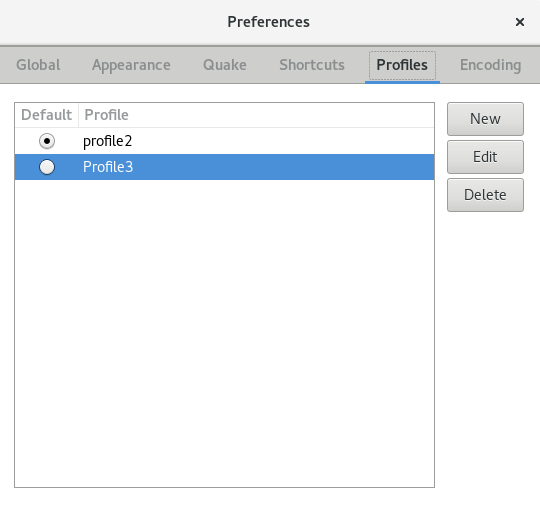 Profiles can be created in preferences section. 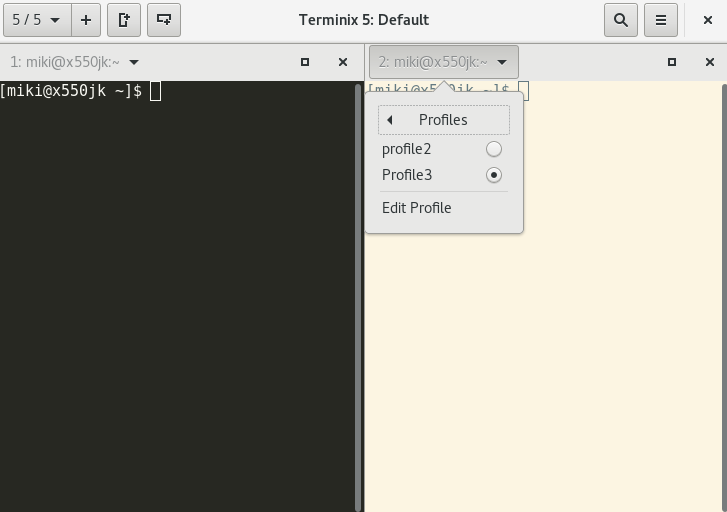 Then change one terminal window to new profile. This way you can have for example remote ssh session in one color and your local computer in another. The Terminix github page says that is also possible to make automatic switching of profiles based on the hostname of the server you are accessing trough SSH. I haven't been able to setup this, if you have more luck, write in comments. 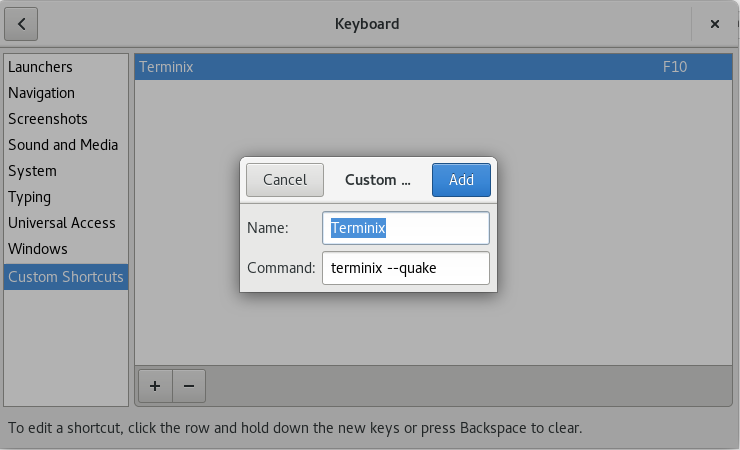 We ran trough what I thought are coolest and most useful features of Terminix in this article. 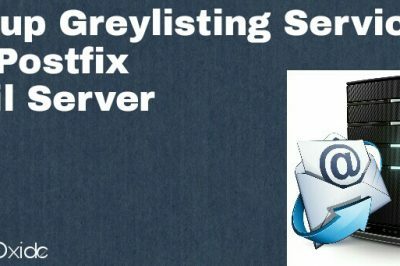 Terminix is under constant development and has lot of features so you might find some feature that is not listed here to be most useful to you. 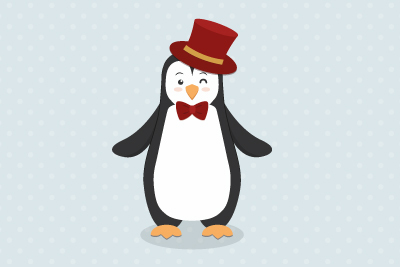 Installing and experimenting with it is easy and I hope this article will be useful as a starting point of making your terminal experience more streamlined and enjoying. 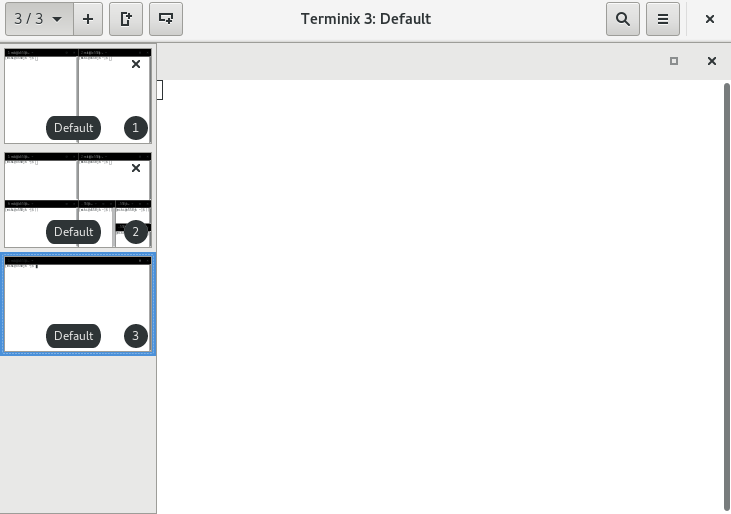 I know for sure I will keep using Termininx. Thank you for reading, this is all for now.